As violence, hunger and the breakdown of public institutions have driven around five million Congolese from their homes, Kasanga Alexandre brought his family to Kenya where he finally dares to dream of brighter days for his children and himself. The world is facing the biggest refugee crisis since the Second World War and according to the United Nations High Commissioner for Refugees (UNHCR) an unprecedented 65.6 million people around the world have already been forced from their homes. Refugee camps have been established in many corners of the developing world and the term “Refugee Crisis” has buzzed across the media in recent years. However, refugees are not the crisis, they are a result of crisis situation. And the discussion misses one essential point: globally, the largest portion of refugees are hosted and accommodated in developing countries, which themselves are structurally poor, struggling with resource scarcity and low incomes. Established in 1991 under the UNHCR, the Kakuma Refugee Camp is home to approximately 165,000 refugees and asylum seekers of over 18 different nationalities. Although refugee status is supposed to be temporary, many people have spent over 20 years in this camp. For the youngest in the camp, this is the only home they know. 78% of the refugees in Kakum come from South Sudan and Somalia, two countries in continuing conflicts. None of these men, women and children will voluntarily return home soon. 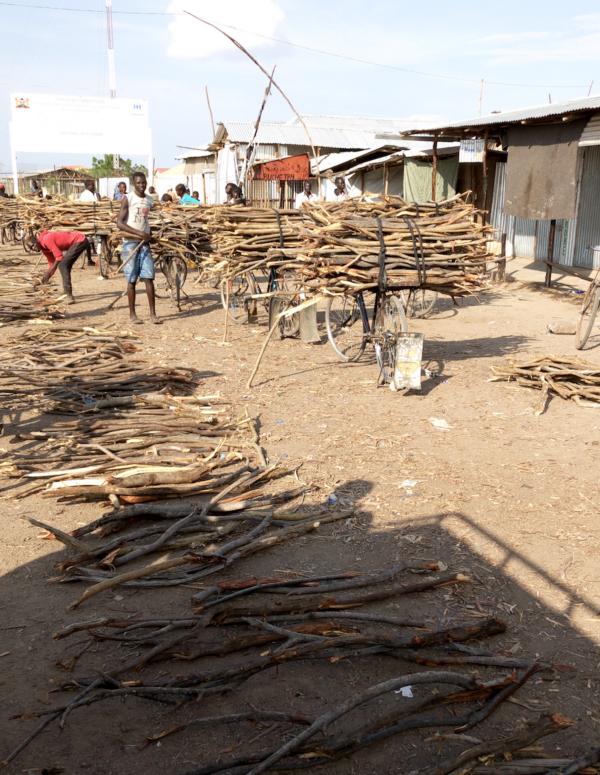 As in every other refugee camp, one of the challenges in Kakuma is the energy use: it is economically, environmentally and socially unsustainable. Children and women bear the greatest cost, as they are often the ones cooking over smoky fires or travelling long distances to collect fuel for cooking and lighting. Diesel and cooking fuels are among the largest expenditure for humanitarian organisations, blocking large sums of money that could be directed towards services such as education or healthcare. Kasanga Alexandre is a Congolese refugee who fled to Kenya in 2016 with his wife and three children; Zamarade Chibalonza 19, Kasanga Riziki, 18 and Kasanga Henry, 16, all of whom are attending vocational training courses nearby. 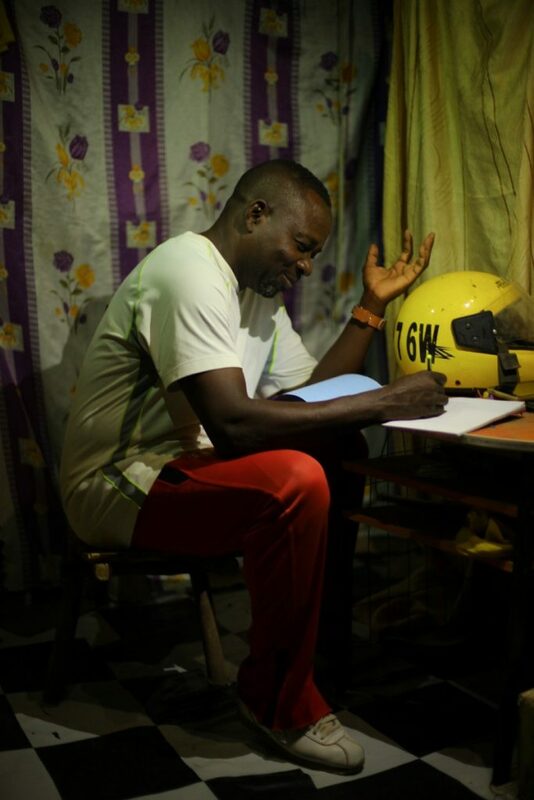 Kasanga was one of the very first people in Kakuma to purchase a solar home system. SNV, a Netherland based NGO, has recently started a project to create a local market for sustainable, clean and affordable cooking, lighting and mobile phone charging in refugee camps. The idea is to create employment and business opportunities for the local community. In the global context where humanitarian needs are increasingly greater than the resources available to meet them, the traditional model of blanket in-kind assistance for camp-based refugees is expensive and not sustainable. The world needs more cost effective approaches like this one to providing assistance to refugees in camps. This article was published in The Beam #6 — Subscribe now for more.